Semolina for fishing how to cook each avid fisherman because it so often helps out when no other bait fish are not biting. Especially good river creatures eat semolina in the hot summer days. Semolina nozzle gentle and strong at the same time, it has a very plastic consistency and at the same time well kept on the hook. 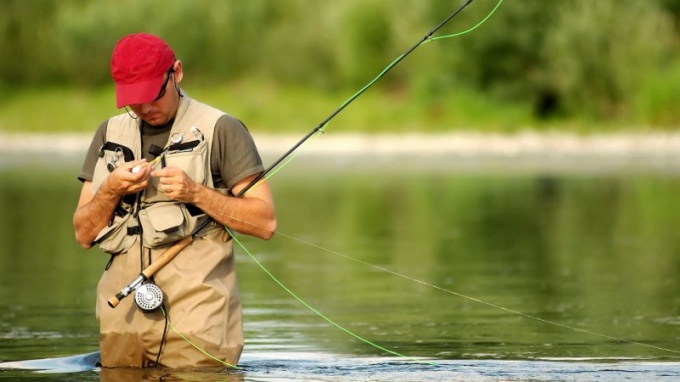 For beginners it is useful to know how to cook semolina for fishing. There are several ways. Take two identical glasses. One sprinkle semolina, pour the other in the water. The levels should be the same. Pour the water into a saucepan and bring to a boil. A thin stream pour semolina, simultaneously stirring her spoon in the boiling water. When under constant stirring you get a homogeneous mass, remove the pan from the fire, but not stop interfere with the content.Semolina absorbs moisture quickly, make sure all the grains were filled with it, and there would be dry lumps. Then cover the pan with a lid and wrap it in a towel or warm scarf, let stand 20-30 minutes to complete swelling. Then wait, when the semolina has cooled to such an extent that it can be hold (but it should still be hot), and thoroughly promes added a few drops of fragrant oil.Can be divided swollen semolina into several parts and each add a different oil or different flavors, because you never know what flavor will attract the fish this time, her tastes change frequently. The resulting balls lay on plastic bags. Can go fishing. Some fishermen do that, however, their bait for fishing it turns out is not worse.Take an empty matchbox and tightly fill it with semolina (you can also add flavor). Close the boxes and tape it on all sides thread. Dip in boiling water and cook for about an hour. Remove, let cool, remove from box. You should get this Manne the block that is easily cut with a knife into portions of the required quantities for fish. Such a nozzle is not off the hook even a strong current. 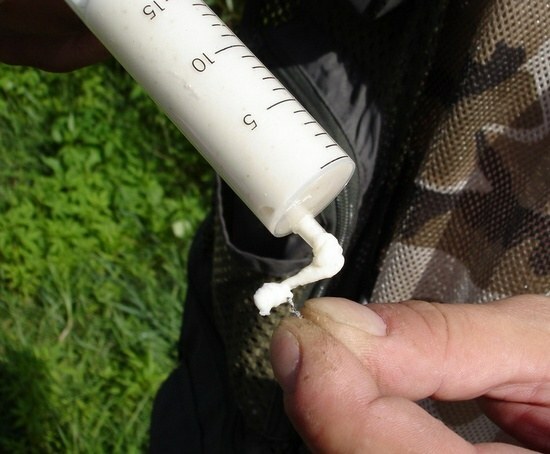 Finally, another method of preparation of decoys for fishing, this time without cooking.Take an old stocking and pour into it semolina (the quantity you determine, it all depends on how much you need bait). Tie the stocking to the faucet and start to wash semolina under cold running water. To expedite the process, place a hand under the hem of the stocking and methodically lift and drop it, letting the semolina through the water. As leaching from the grains of fine particles, the contents of the stocking is reduced, while in it there will be something more like a rubber than on the rump. Remove from stocking the resulting mass – nozzle ready. Semolina is especially good biting carp, bream, roach, carp, bleak. As flavoring you can use heart drops, unrefined vegetable oils, decoctions strong-smelling herbs, essential oils. Semolina is an excellent nozzle for catching of predatory fish: carp, carp, IDE, roach and others. It is cooked and make a sharp nozzles; Sapareva get masterke; finally, the monkey is prepared from raw mash. To prepare mash better before going fishing, for example, in the evening. For this you can use any available in-house, sort of decoy and water. You can cook catchability nozzle being directly on the beach. Bring a bit dry semolina and the water in the pond or on the river reach. You can prepare the mash for the future, it filled the syringes and placing in the fridge. In the freezer ready attachment will lie, not sportives, up to 3 months. So, take the pan in which you prepare the mash. This can be a glass jar with a wide mouth 150 grams, you can use the containers of plastic. Pour the cooked semolina in a pot and fill about half the volume. Take water at room temperature, but not boiling – boiling water acquires a peculiar smell, which is not like fish. Be careful not to pour, pour a thin stream of water below its level blocked Manne horizon of 5-10 mm. Now leave the jar of manna for 20-30 minutes alone. Let cereal take water and swell. But now comes the main cooking mash. Armed with a wooden or glass rod and begin methodically, if possible without interruption, shaken and stirred to swell the mass to obtain a viscous semolina mixture. This work will take time at least 15 minutes. Do not use metal spoons or wire. Many carp are very sensitive to iron scents and it can affect the bite. As a result, the consistency of the mass should be such that the talker could hang a long rope to stay on his raised wand, not breaking off. Chatterbox ready. You can leave it in the Bank, you can fill a talker a syringe, it will be convenient, forcing, wind the weight on the hook. To head of the mash was still ulovistye, add flavorings. For example carp likes the extra smell of honey or garlic. Just don't overdo it – a strong and pungent smell, on the contrary, to scare away the fish. Use small hooks: No. 3.5 – 5.5. Hook-winded talker with the help of wooden sticks or squeezed from the syringe. It turns out the ball from which the water is gradually separated by the smallest grain of alluring fish. Experiment with color. This is good to use different food colorings. "No tail, no scales!"